Originally created for the Music Game Jam 2018, Flight won #2 place in Overall, Music and Visual categories out of 100 projects, and is currently in development with plan for release in late 2019. Working closely with a programmer, I designed the main mechanics of the game and created an adaptive music system that transitions seamlessly as the player progresses in the game. The main action of the player “Sing” is a bird song created from soft synth harmonies randomly chosen from Wwise, that is always in tune with the music playing in the background. 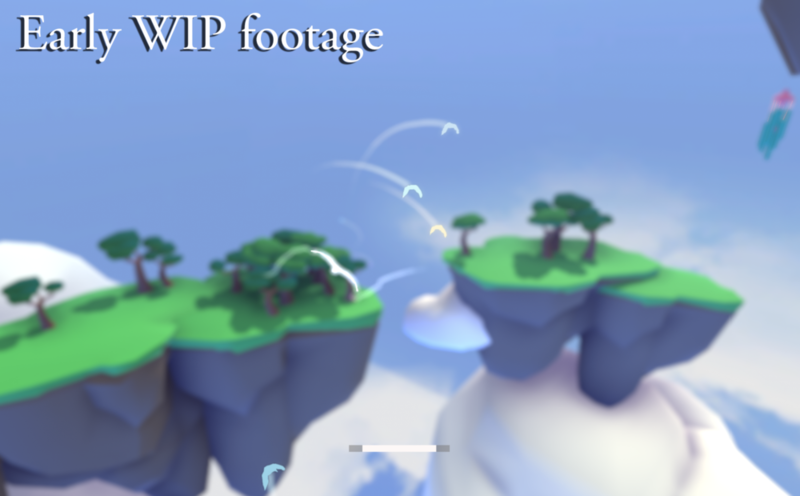 Depending on the bird’s altitude and trajectory, the dynamic wind that the player hears creates a sense of realism of flying. The goal of creating this project was to create a game about flying that would showcase my ability to design adaptive music systems and fluidly use in-game elements that would naturally evolve the music. There are four major levels in this game, and the player can evolve the music by finding birds scattered throughout these levels.